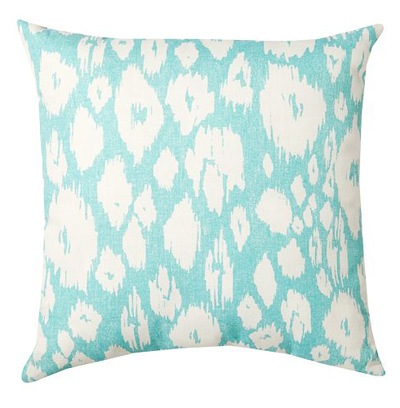 The popular animal print and revered dyeing technique harmonize on the print of this ikat-style Cheetah Indoor/Outdoor Pillow. 20″ square. Woven of soft, water-repellent polyester. $39.50. Free shipping. Buy here.